We are delighted to welcome SENTRY Products Group to our team here at Women’s Outdoor News. Here’s why. I just slipped past another decade of life last weekend and the older I get, the more I realize it’s the little things that make a difference, and I’m talking tangible and intangible things. 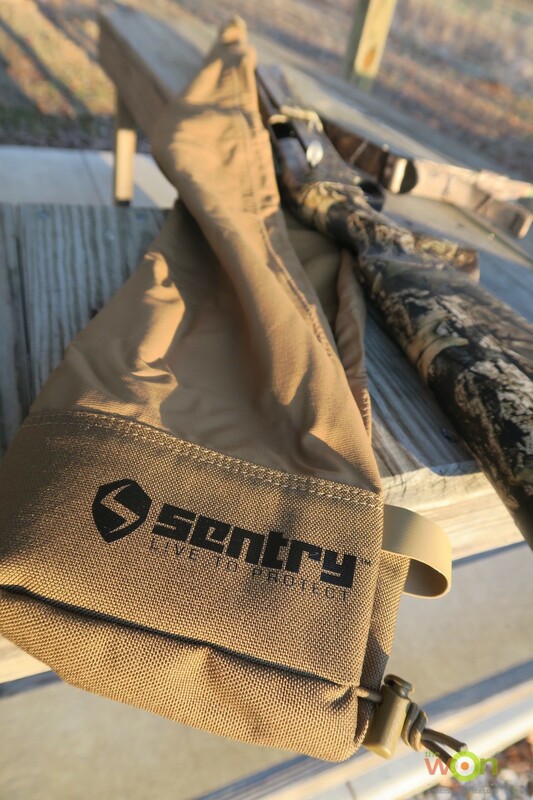 SENTRY Products Group offers a wide variety of firearm accessories from its range of families – HEXMAG, Scopecoat, Slideboot and Sentry Solutions – under the company’s umbrella. These little things, aka accessories for your firearms, will make your time afield or on the range better for so many reasons. It felt like Christmas as I opened the box SENTRY sent me and went through scope covers, gun covers, Hexmags and more. Here are descriptions and first reviews of the products from that box, and what I think about them so far, and where you’ll see them soon. The Armadillo is one in a line of firearm covers offered by SENTRY. Think of these covers as yoga pants for your guns. 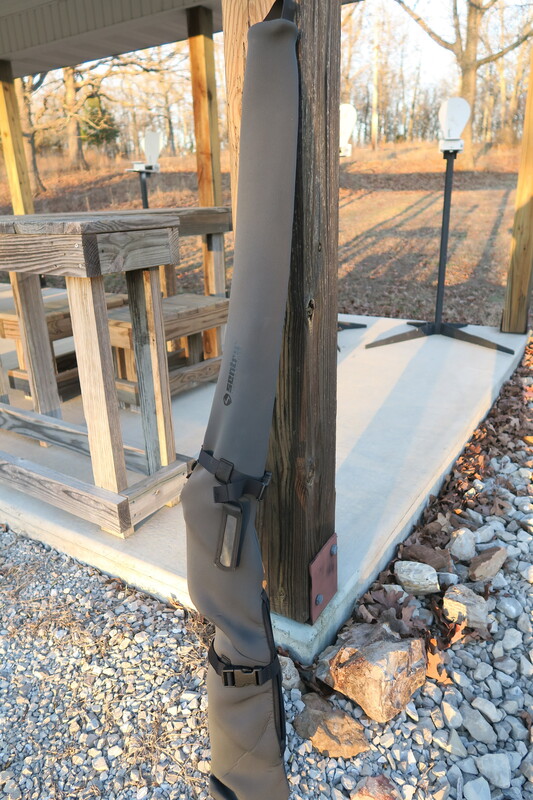 Available for standard AR-15s, rifles and shotguns, these lightweight, water-resistant covers slip on and off easily, regardless of your configuration of scope, tactical lights, lasers, bipod or sling. You can pop one on your gun for range protection from dust and rain, or have your gun wear it as you transport the gun from here to there. SENTRY made the Armadillo in a softshell material (hence the yoga pants reference) and with a drawstring, so you can cinch the cover down tight on the gun. When not in use, the Armadillo folds to the size of a deck of cards, so it’s easy to store in your range bag, backpack or hunting pack. In Moss Green or Coyote Brown. This Go Sleeve long gun cover is intended to protect your gun while you transport it, or it can be used as a cover in a safe. If used in a safe, make sure your gun is dry and the cover is dry. Neoprene is not affected by oils, so if you have cleaned the gun, you do not have to worry about residual oil drops in your safe. Made of 3mm-thick, high quality neoprene, the stretchy carry case comes with 2 buckle straps and an adjustable handle. 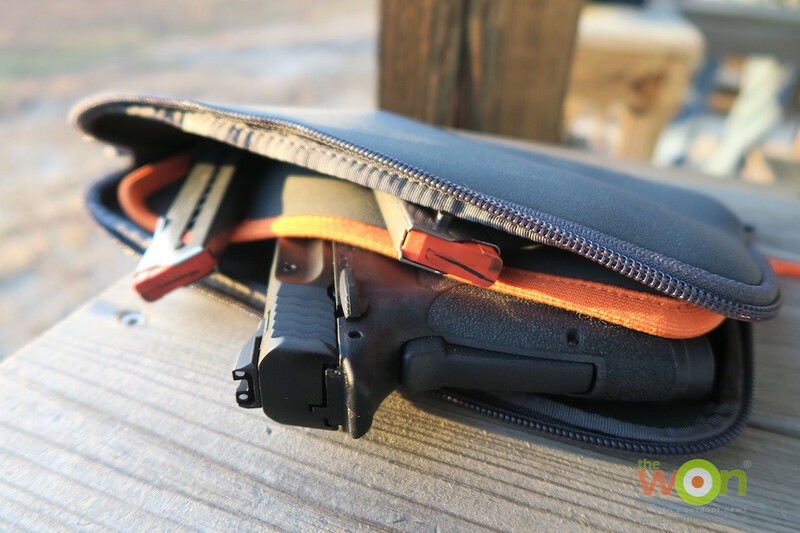 I was concerned that Neoprene would keep the moisture in the case with the gun, but found out that Neoprene is breathable and will draw and expel any residual moisture remaining in the firearm. I will use this Go Sleeve when I head out this spring to complete a Grand Slam on turkeys. Why use a Go Sleeve for this? The final turkey on my list is the elusive phantom Osceola of Florida and I know my shotgun will need protection from bumps and scrapes, as I was turkey hunting in Florida last year. So, bring on the palmetto attacks. The Go Sleeve case will come in handy for storing my shotgun on the way out to the hunt. Go Sleeves are made for standard AR-15s, rifles and shotguns. In Black and Wolf Gray. This little number came in handy when I transported a new handgun to a meeting of our women’s shooting group recently. I tucked the .380 into one of the dual storage compartments of the Go Sleeve handgun case, made of 3mm high quality neoprene, and the gun’s 2 magazines into the other side’s sleeve. It comes in 3 sizes. It’s rather compact and smart looking. There’s also a version that will fit laptops and tablets. Comes in Black and Wolf gray. 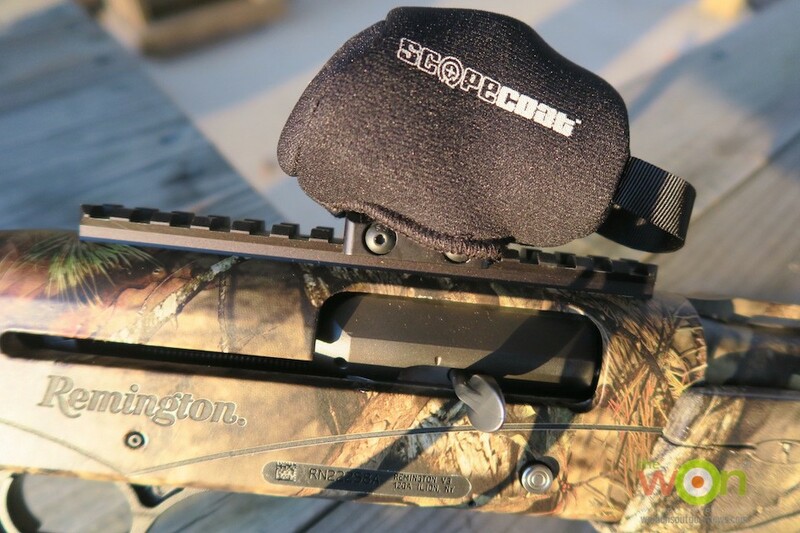 Scopecoat offers more than 80 sizes of standard 3mm-thick neoprene covers to fit your guns’ optics. My turkey gun has a red dot optic on it, so I’ve already placed this cover over it and now can drag this gun through palmettos and scrub pine to my heart’s content and not worry about scratches. A Scopecoat also comes with an attached loop, making it easy to quickly remove the cover. If you’re not sure which one of the 80+ to get, Sentry offers a “how to measure your optic” reference guide at its website. MSRP: $19 for the Scopecoat to fit the optic on my shotgun, prices vary according to size. SENTRY acquired Hexmag last year. Terry Naughton, president of SENTRY Products Group, said Hexmag’s innovative approach to product design and marketing not only fits well with SENTRY’s philosophies, but also, extends the company’s presence in military, law enforcement, tactical and OEM markets. The addition also created several new USA-based jobs in SENTRY’s Boise, Idaho, facility for manutacturing and distribution and Virginia Beach, Virginia, locationg – SENTRY’s headquarters. If you own an AR-15, you more than likely have heard of Hexmag magazines. 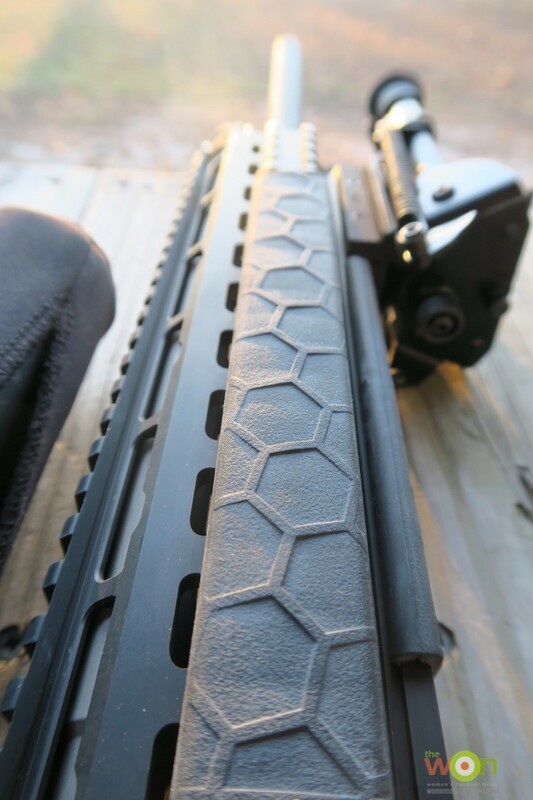 These magazines feature SENTRY’s patented hexagonal surface pattern, aka HEXTURE™ (magazines are made from PolyHex2, SENTRY’s proprietary, fiber-reinforced, polymer), along with ribbing on the front and back of each magazine, allows for a firm grip regardless of the weather. One of the beauties of these mags is that they’re lighter than other ones on the market. Hexmags have some other neat features that I’ll detail below. I put the magazines to one test by fully loading several and popping them into a wide range of ARs from many different manufacturers. Sometimes, polymer magazines when loaded to the hilt, will swell and not fit into various ARs. No such problem here. With the rifles’ bolt carrier groups locked back, the Hexmags fit each AR with no problem. Because each magazine well was slightly different, the magazines fit with more or less wiggle-room, but there were no failures to lock-up in any of the guns. You may store these magazines fully loaded, without fear of spring corrosion or fatigue. Each magazine includes heat-treated 17-7 stainless steel springs. I did another magazine test by shooting several hundred rounds using Hexmags, with no malfunctions at all. So, I would trust these magazines for use in self-defense AR-type firearms. Without going too deeply into the anatomy of a magazine follower, know that it may be the culprit when you have one of several types of failure in an AR-type firearm. Hexmag’s are built with an anti-tilt follower with equal length legs, which keeps the ammo straight and able to feed properly. Hexmag’s come in AR-15 and AR-10 sizes, for a wide range of ammo calibers. While we’re on the subject of orange, that’s not all Hexmag offers for colors. Hexmag makes several colors of latchplates and followers, sold in sets and called the HexID color identification system. You don’t need a tool to change the HexID system follower and latch plate, because you can do it with your bare hands thanks to SENTRY’s tool-less takedown design. Offered in a rainbow of colors, this system allows you to coordinate your magazines to reflect calibers or loads or even brands. Or, use a particular color to identify your own magazines while at a competition, if possible. I know, I’ve “lost” a GLOCK black magazine, fully loaded, to another competitor at a competition. Colors include pink, black, blue, red, flat dark earth, yellow and zombie green. All products by SENTRY come with a hassle-free lifetime warranty. I never really thought about rail covers much, but really, they offer protection to rails that might someday be used for other gizmos, optics, lights, etc. on your AR. Also, if your gun is equipped with uncovered metal rails, as you know, these can cause discomfort at times to your hands, and if the rails get dinged up, even worse. These HEXMAG Slim Line Picatinny LowPro Rail Covers complement the design of the other HEXMAG products, and span 18 Picatinny slots (7 inches). I cut down the covers for an AR. Comes in Black and FDE. 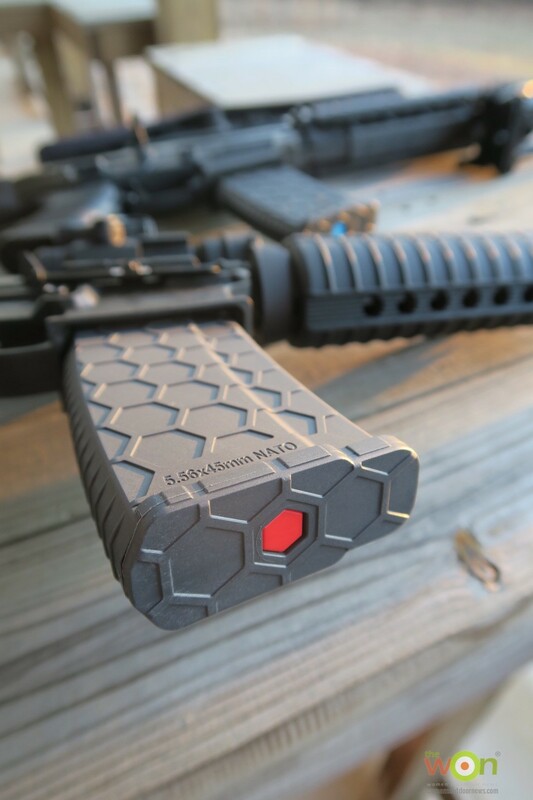 If you want the grip on your AR to have the hexagonal pattern of the Hexmags, check out the HEXMAG Tactical Grip, which fits either an AR-15 or AR-10 platform. I put this on an AR that came with a standard A2 hard-plastic pistol grip, and the Tactical Grip makes all the difference in my rifle’s feel. 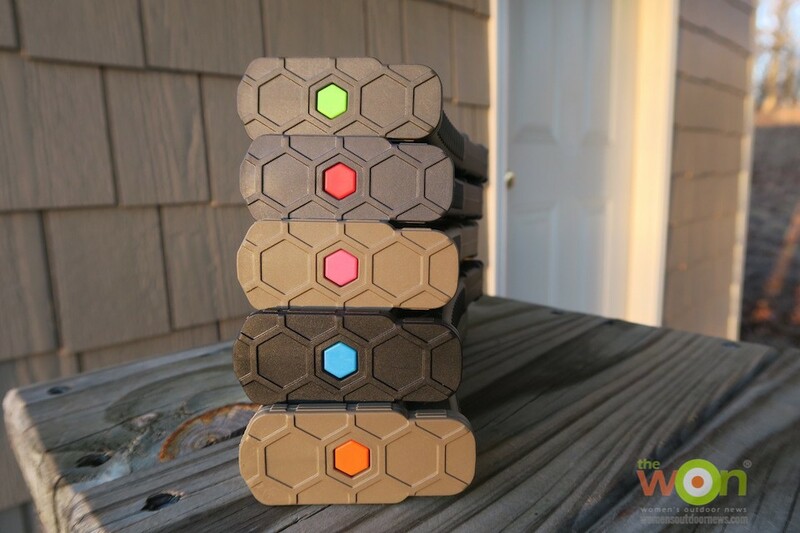 Made of over-molded rubber, this grip has the same hexagonal design (the patented SENTRY Hexture™) as the magazines, but also offering finger grooves and an integrated rear upper extension. Comes in black or Flat Dark Earth. 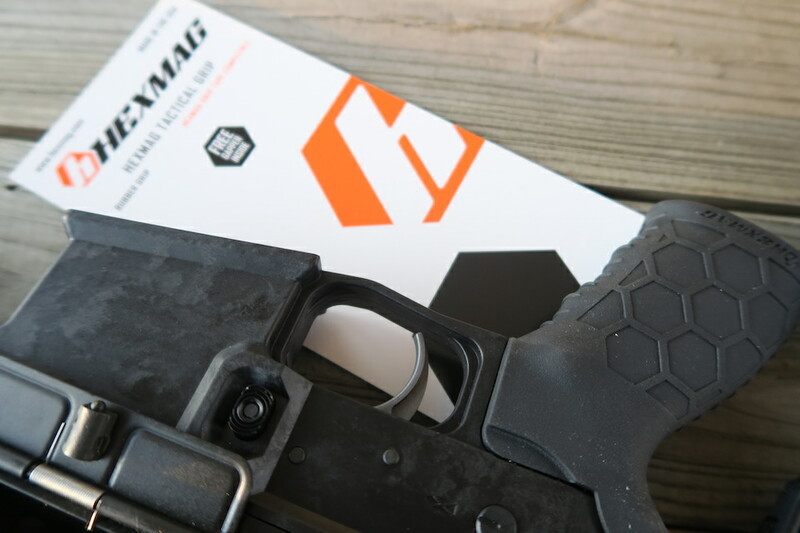 If you want superior grip on any accessory or magazine, it’s easy to add HEXMAG Tactical Grip Tape, which comes in a package of 46 die-cut, self-adhesive hexagons that fit perfectly inside the external hexagonal cavities of the magazine and grip. Available in black, gray and clear. We’ve just chipped away at the surface of SENTRY Product Group’s offerings. We’ll be coming back from the Florida hunt here shortly, with a review of its products, and of course, a story. SENTRY Products Group is offering a special 20% off all SENTRY products at http://www.hexmagstore.com/ Use WON20 as the code. Visit SENTRY Products Group here and Hexmag by SENTRY here.